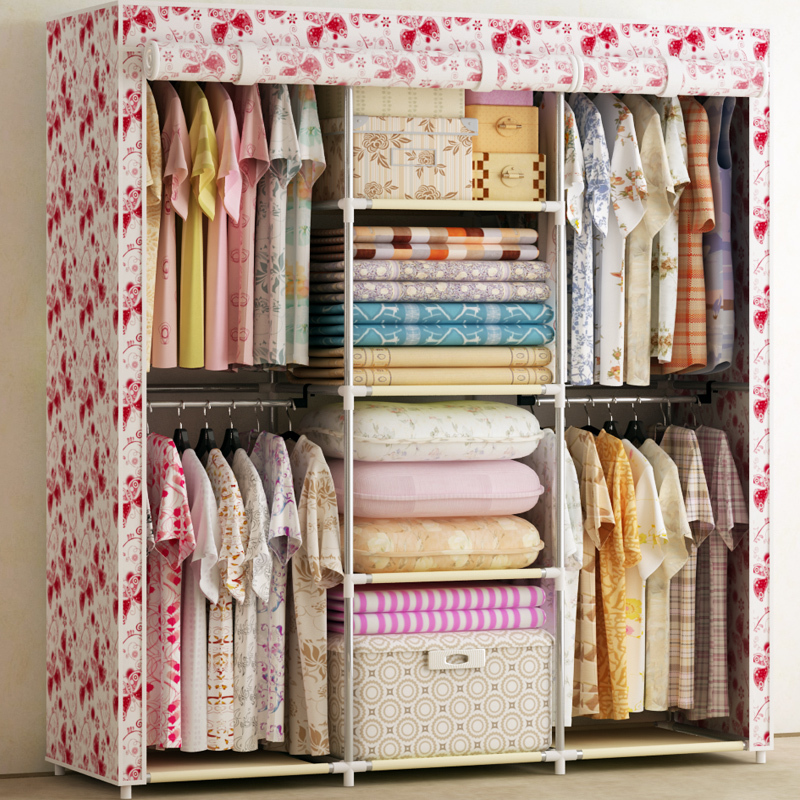 Clothes, shoes, accessories… All these things should fit into your closet in a neat way to make storage well-organized and user-friendly. Many brands offer special tools for optimizing closets, but we’d like to offer you 5 trivial things that can be found in any home and save you from the necessity to buy something specific. These things can be found in your living room, bathroom or kitchen and can be turned into powerful “devices” for fighting against chaos. Let’s begin with a common one-roll paper towel holder. This is a must-have of contemporary kitchens. 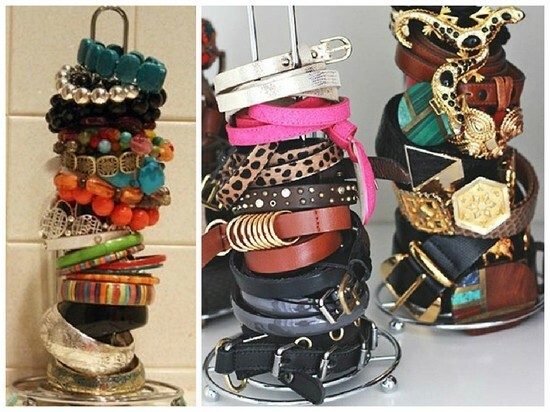 But just imagine how many belts and bracelets such a device may keep organized. This storage tool is compact and user-friendly, and can be kept on a nightstand, on a dressing table or inside your wardrobe. 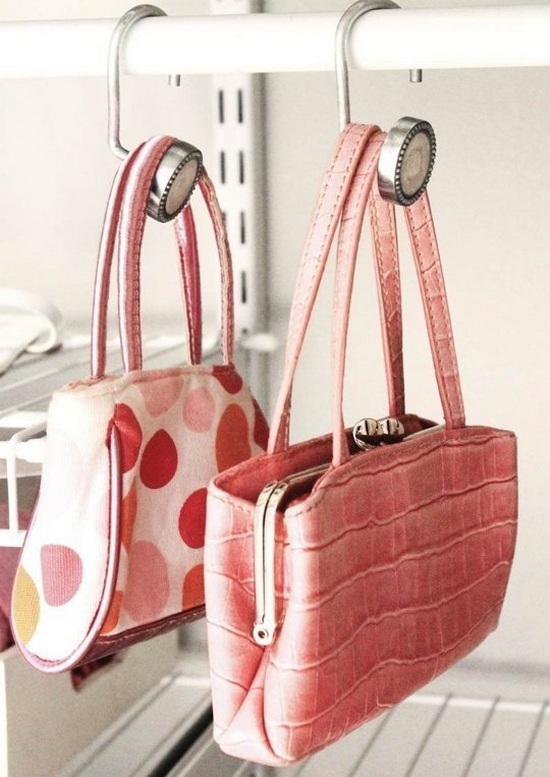 How to store all the bags in a compact and neat way? In fact it’s an age-old problem for many women. However, it can be easily solved by means of common bathroom hooks. This way every bag will have its concrete place. 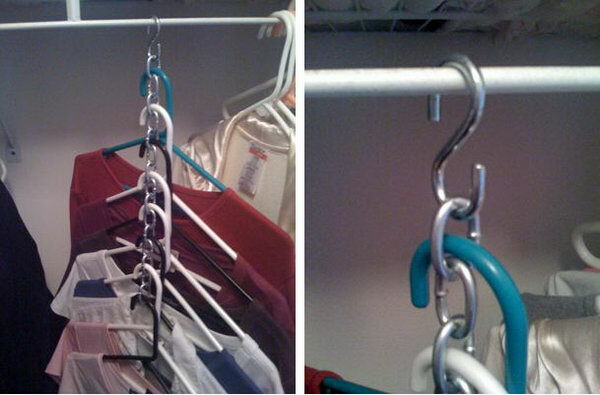 A terrific thing for increasing the number of dresses you keep in one compartment from 10 to 30 is a bunch of S-shaped hooks for shower curtains and a small solid chain. Arrange your clothes on the following principle: the shorter, the lower. Order and system guarantee comfort and good mood. A railing is irreplaceable in a compact kitchen. And now it can move to your wardrobe. Attach it to the inner side of the door and display your entire collection of jewelry. 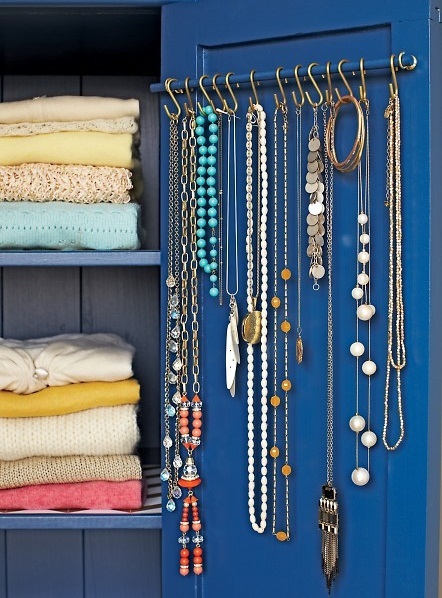 This way your necklaces wouldn’t wind together, will always be in plain sight and won’t take any place on the shelves! 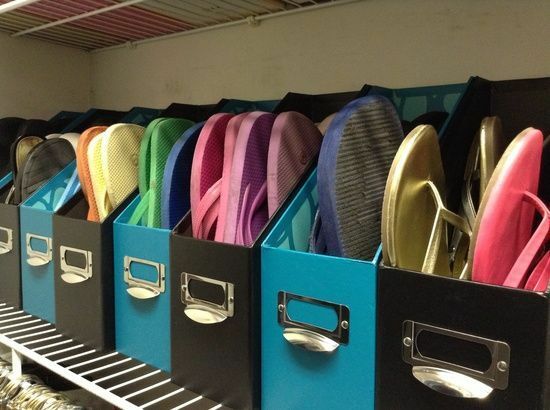 Light summer shoes can be conveniently stored in cardboard desk paper organizers. Conventional shoe boxes take much more place and don’t allow you to see the contents until you check all the boxes; while nice paper folders solve these problems completely.